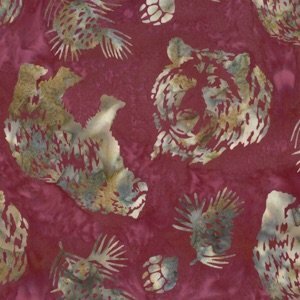 Hoffman Batik N2908-143 Ruby. Bear and Pine cones. Montana Griz. University of Montana Grizzlies. Custom made for Montana & Wyoming.